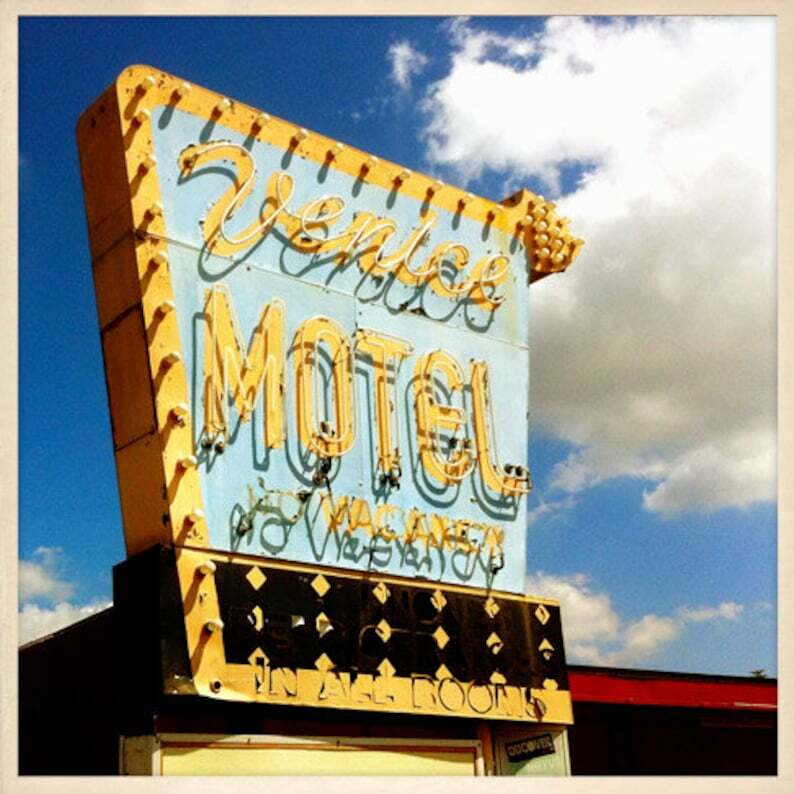 Venice Motel Sign St. Petersburg, Florida Photo Print - 8" x 8"
This item is an 8" x 8" high quality ink jet print on premium 61 lb. matte photo paper. The image in the listing is a digital file, but the printed product is an excellent reproduction. Photo can be printed with or without the border. Kentucky Motel Sign St. Petersburg, Florida Photo Print - 8" x 8"
Landmark Motel Sign St. Petersburg, Florida Photo Print - 8" x 8"
Sandman Motel Sign St. Petersburg, Florida Photo Print - 8" x 8"
Palm Aire Sign St. Petersburg, Florida Photo Print - 8" x 8"
Banyan Tree Motel Sign St. Petersburg, Florida Photo Print - 8" x 8"
El Cap Restaurant Sign St. Petersburg, Florida Photo Print - 8" x 8"
Biff-Burger Restaurant Sign St. Petersburg, Florida Photo Print - 8" x 8"
McCrory's Sign St. Petersburg, Florida Photo Print - 8" x 8"
A gem of a book to bring back many fond memories of St. Pete. Item was sent as a gift. Received text from recipient upon receipt saying "It's amazing!" I'll take that as a good sign! Item shipped super fast and did not disappoint. Love the seller's work and it was a pleasure to buy from him. Historic YMCA Sign St. Petersburg, Florida Photo Print - 8" x 8"
Busch Lounge Sign St. Petersburg, Florida Photo Print - 8" x 8"
Daves Restaurant Sign St. Petersburg, Florida Photo Print - 8" x 8"
China City Restaurant Sign St. Petersburg, Florida Photo Print - 8" x 8"
West Central Shopping Center Sign St. Petersburg, Florida Photo Print - 8" x 8"
World Liquors Sign St. Petersburg, Florida Photo Print - 8" x 8"
Masonic Temple Sign St. Petersburg, Florida Photo Print - 8" x 8"